Situated in the business district, this hotel is 0.1 mi (0.1 km) from City Mall and within 3 mi (5 km) of Water World Theme Park and Museum of Islamic Civilisation. Sabah State Museum and Kompleks Karamunsing are also within 3 mi (5 km). This hotel features a restaurant, concierge services, and dry cleaning. Self parking is free. Other amenities include laundry facilities and a 24-hour front desk. All 62 rooms offer free wired Internet, room service, and plasma TVs with cable channels. Other amenities available to guests include coffee makers, free bottled water, and hair dryers. The hotel offers a restaurant. 2 meeting rooms are available. 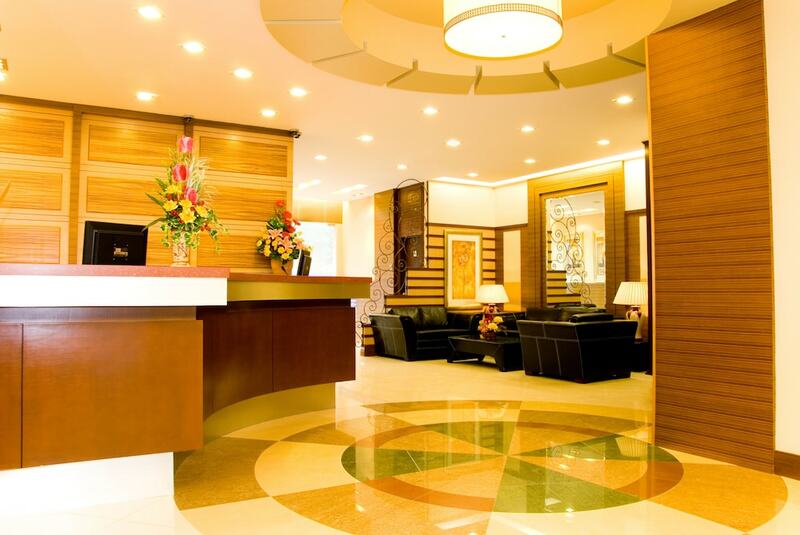 This business-friendly hotel also offers concierge services, laundry facilities, and dry cleaning/laundry services. Onsite self parking is complimentary. Celyn Hotel, City Mall has a restaurant on site.